Meet Cedar Lake Doodles “Aspen”. She is an Old English sheepdog and a future mom of our sheepadoodles. Meet Cedar Lake Doodles ‘Aspen”. 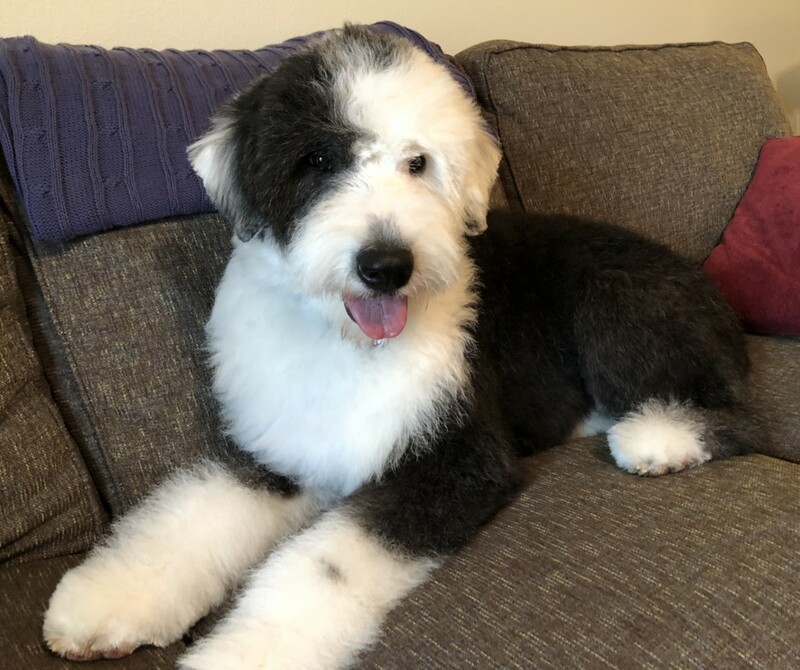 Aspen is an Old English Sheepdog and will be a mom to our sheepadoodles. She is 23 inches high and 55lbs. She is health tested for hips, elbows, heart, eyes, patellas, DM, EIC, MR1, and PCD.